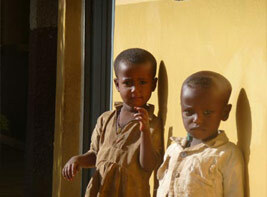 Since the start of our trips your funding has supplied over 90 houses. That’s 90 families with a solid house that stays dry in the rainy season. This year we received a couple of substantial donations for houses and it was a delight to see these houses built and the smiles of the families inside. It did mean however that every house we visited we had to have coffee, a long traditional process that can take an hour or so. The coffee is very much like the Ethiopian people, strong and dark, so after visiting several houses in one day our caffeine intake was very high. As mentioned in the summary report the increase in prices has impacted on the houses. The cost of a house is now about £200, materials have doubled and the increase in food prices has meant that labour costs have also risen.